I have developed a very recent interest in online safety and parenting. The interest in technology in general has stemmed from the beginning of my teaching career in 2000. During my career, in and amongst other roles, I have always been drawn to Information Technology. I might not have understood all the complicated tech in’s and out’s, but I understood enough to recognise that I.T. would be very significant in the future. Obviously, I couldn’t have predicted just how big. In my most recent role as Computing subject leader, I spent months cramming up on my knowledge, policies, the new curriculum and all associated paraphernalia. And yet, there is always more to learn. In parallel with my career in education, I also became a parent. I think that most of you would agree that parenting is without a doubt the most important and hardest ‘job’ while also being the most consuming and rewarding. I have been fortunate to be able to spend quality time with my young children (both under the age of 4), but now it’s time to get back to work. During my extended leave, I have been able to reflect upon my new direction, to learn some of the skills I’ve been wanting to learn for a long time whilst looking after my babies and to apply for work/form the grounding of a potential new specialism. Interestingly enough, I’ve found myself being drawn back to technology, no doubt due to the fact that we are surrounded by digital media everywhere. I realise I have a two-edged interest – the professional in me and the mummy in me but I want to become the tech savvy woman that I’ve had my eye on being for some time. Hopefully, a tech savvy parent too. My ultimate goal as a tech savvy parent would be to able to filter the sensationalism from the reality and make informed choices on behalf of my children whilst they are still young and when they begin to start flexing their independence muscles, we can hopefully make choices together. On completing the O2 quiz, I managed to reach Level 4 and this apparently means I’m a #digitalguruinthemaking – story of my life! I have to admit a few of my answers were based on mathematical guesses and the process of elimination, made easier by a multiple choice of three. So in reality, my knowledge is most likely the equivalent of Key Stage Two or a 7-11 year old. Phew to that at least! Armed with my not to be taken too seriously analysis, I began to seek out those in the field that do know what they are talking about with regards to online safety and digital parenting. My digital transformation begins here. Reflect upon the direction you want to take and the kind of parent you want to be. 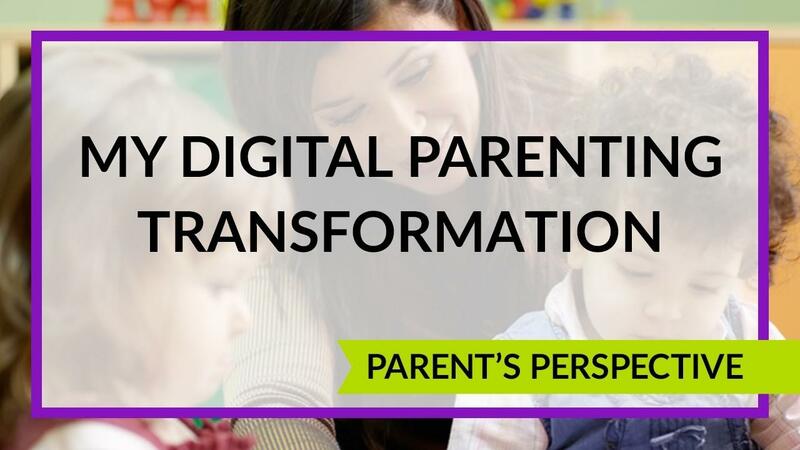 You might find some helpful tidbits in this How-To on Digital Parenting techniques. Survey yourself in digital terms using Playbuzz, O2 quiz or just a plain old chat with your children. Research online safety and digital parenting and find the voice that resonates for you. Find support with other parents for those moments when you feel overwhelmed. Stay committed: the digital age is going to play out for a while, so begin as you mean to go on. Leave a comment and let me know if you are beginning a digital transformation. We can do this together.